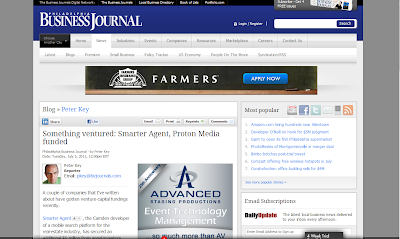 Just a note of thanks to Philadelphia Business Journal's Peter Key for reporting on ProtonMedia's recent $4.5 million financing. Thanks much! Who won our "Infinite Reality" book giveaway?